I am proud to say that I have another show coming up March 10th. It's a benefit show at Leanna Lin's Wonderland called The WonderPUP Show! 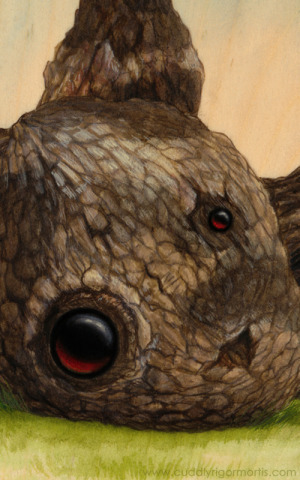 100% of the art sales will be benefiting the ACVIM Association in honor of Leanna's toy poodle, Richy, who passed away in July with an autoimmune disease. How could I not contribute? 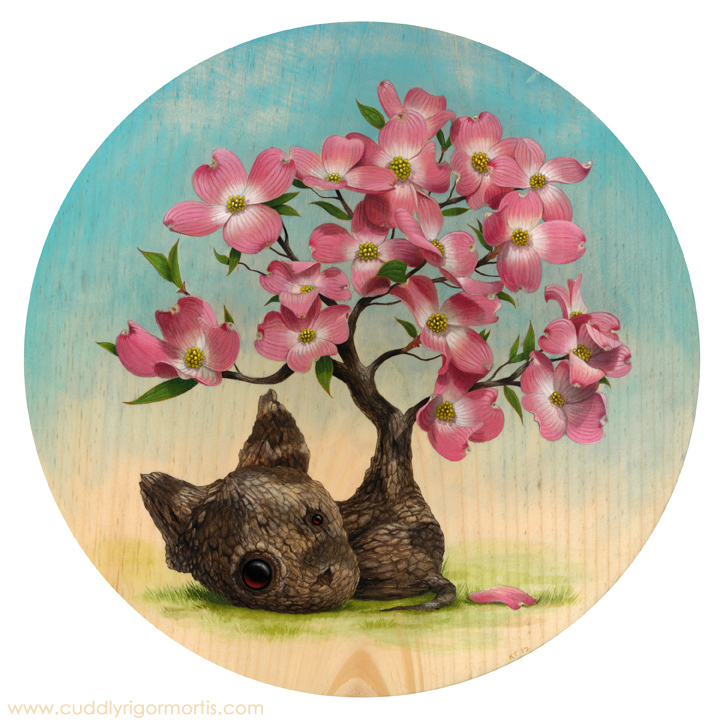 "Dogwood" is an 11" circle, acrylic on wood. I must say it was bittersweet doing the eyes for this one as it just kept reminding me of my own pup, Ricky. He, too, passed away this July. He was a trooper and my best buddy. I hope you'll all take a look at the wonderful artwork that will be up for sale. There's some amazing artists and it is all going to a great cause. "Dogwood" did not sell at the opening so you can now purchase it for $300 (remember that 100% of this price goes to benefit the ACVIM Foundation) by emailing Leanna at hello@LeannaLinsWonderland.com with Cuddly Rigor Mortis/ "Dogwood" / your shipping address and she will get back to you with total price and payment details. Thanks again for your support!